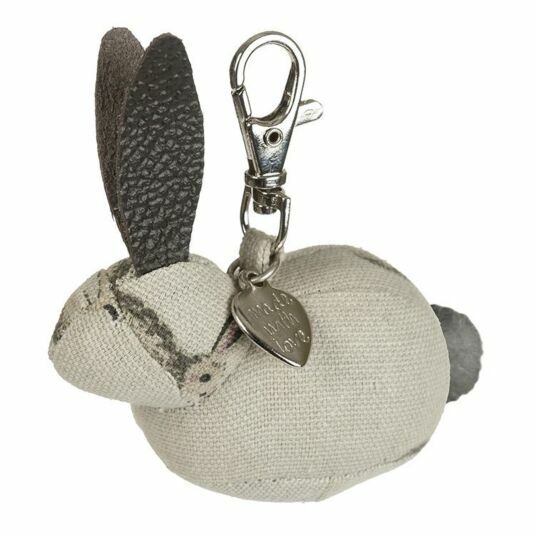 Accessorise your look with the help of an adorable countryside addition with this Sophie Allport Hare Keyring, perfect to add to any bag or set of keys! 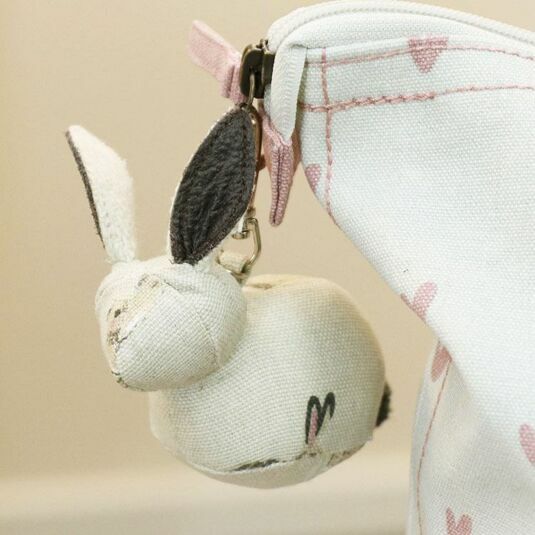 Whether you hang this Hare Keyring from a set of keys, a handbag or a rucksack, you’ll never be alone, as this Sophie Allport Hare Keyring will stay by your side, offering style, class and companionship, perfect for all animal lovers, the style-conscious, mothers and grandmothers alike. The tasteful Hare range from Sophie Allport includes a wide selection of attractive kitchen accessories. Each item features images of lively hares bounding across a stone coloured background. Subtle touches of pale pink and white bring the animals to life. The muted tones and hare imagery of this collection bring a rural touch to any kitchen.